The Russian certification agency EEC has certified several upcoming Samsung devices, including 2019’s Galaxy Tabs, Smartwatches and Galaxy Sports watch. 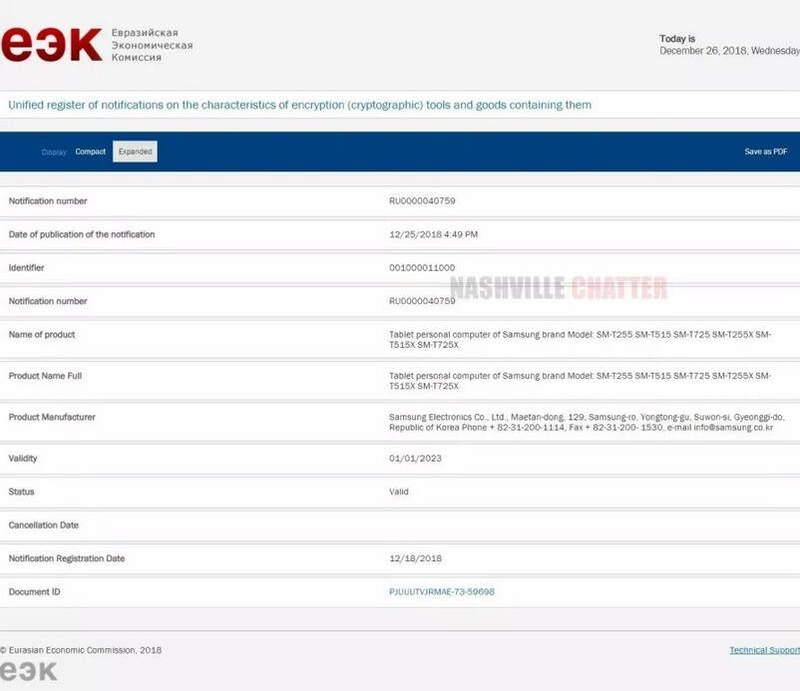 The certification screenshot as obtained by folks at nashvillechatterclass reveals several new tablets which have been certified. The certified Samsung Galaxy tabs model numbers are, SM-T250, SM-T250X, SM-T255, SM-T255X, SM-T510, SM-T510X, SM-T515, SM-T515X, SM-T720, SM-T720X, SM-T725, and SM-T725X. The model numbers of the upcoming smartwatches which have been certified are, SM-R370, SM-R370X, SM-R375, SM-R375X. The EEC certification agency has also certified two new Sports watch with model numbers SM-R500 and SM-R500X. The certified model numbers of the two watches refer to a recent report, which claimed Samsung to be working on a new smartwatch codenamed ‘Pulse’ with the model number is SM-R500. The issued EEC certificate for the upcoming Samsung devices doesn’t tell more about the devices except for the model numbers. However, the devices name can be guessed based on the name of the devices Samsung has launched in the past. The report suggests that the certified models of the Galaxy Tabs could be called as Galaxy Tab S2 (2019). 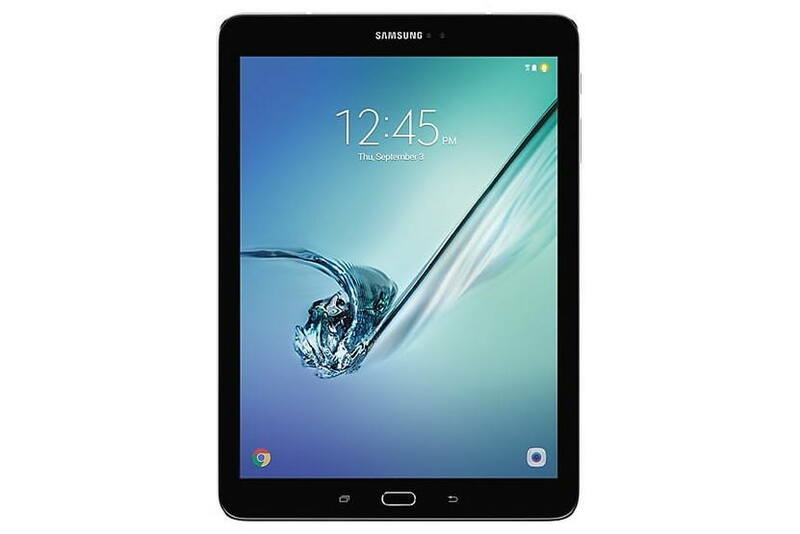 The tabs with SM-T520 and SM-T525 model numbers belong to the older Galaxy Tab Pro 10.1 (2014). So, the certified Galaxy tabs with model numbers SM-T510, SM-T515, SM-T510X, and SM-T515X could be the new Galaxy Tab Pro 10.1 (2019). Last but not least, the Tabs with model numbers SM-T250, SM-T255, SM-T250X, and SM-T255X could be the new 2019’s edition of the Galaxy Tab 4 7.0 (2014).